The Landscape Institute published information recently about the NHS “providing a wealth of evidence to demonstrate the huge value to communities of green infrastructure in terms of health and wellbeing” at a conference held at the Liverpool John Moores University. CEC couldn’t agree more with these findings. The evidence suggests that the lack of physical activity accounts for 16% of all deaths in the UK. Inactivity is recorded at a whopping 63.3% of the UK population, which is a shocking figure. Green Infrastructure has a huge impact on us human beings – it includes landscape assets in our urban and natural environments, including street trees, allotments, hedges, woodlands and our parks. It effects our mood, our sleep, our social interaction, our health and overall wellbeing. CEC’s Landscape Architects can help to realise the potential for Green Infrastructure in all new developments by embracing the benefits of good landscape design – it is not just for the benefit of wildlife and biodiversity, it is very important for us humans too! According to the evidence provided at the NHS conference “moderate levels of activity can reverse type 2 diabetes, which at present affects four million people and costs the NHS £20 billion each year.” Imagine the savings the NHS could have if Green Infrastructure was implemented on all unused and unloved sites across the UK, and people actually managed to use it. The Truro Loops scheme, which is currently at its feasibility stage, is the perfect example of this. Many routes included in the potential loops are currently considered not particularly safe or usable for those who wish to cycle or walk to the city – even more so for individuals already experiencing health problems, such as poor mobility. The lack of safe and easy access ultimately discourages people to get out there and enjoy their local environments to the full. Birgit Hontzsch, CEC’s Principle Landscape Architect provided information at the recent Truro Loops Public Consultation which included 2011 census data on modes of transport and health of residents in Truro. For example, only 159 people said they travel to work on a bicycle , compared to 4776 using a car. There are also 2651 that considered themselves to be only in fair health. If cycling and walking could be encouraged by better Green Infrastructure and connectivity, this could have substantial local benefits in terms of health and the environment. 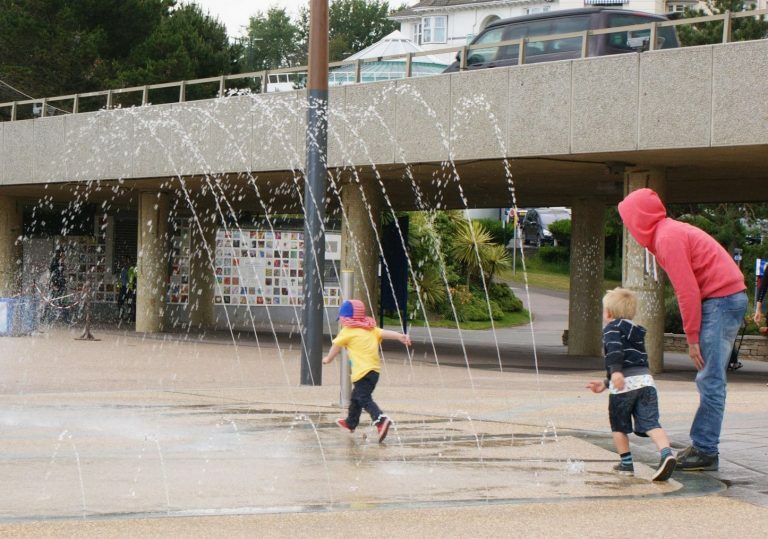 The Landscape Institute summarises the NHS findings by concluding that “Landscape professionals have an important role to play in disseminating the messages about green infrastructure, physical activity and the benefits to health and wellbeing. The LI’s Policy and Communications Committee will be developing this theme further in the next year.” We wholeheartedly agree and would also conclude that developers and Local Authorities have this responsibility too.